It would appear that BT reached the high of 1,513p (£15.31)on the last trading day of 1999, amid a wider FTSE 100 rally as the market was swept up in the technology bubble. See also BT Privatisation Listing history. The information on this website may be helpful to members. Bob Purcell: It is sadly reported that Bob having suffered health problems recently, has passed away suddenly at the age of 68. His funeral will take place on 17th April 2019at 2.00pm at the Grenoside Crematorium North Chapel, 5 Skew Hill Lane, Grenoside, Sheffield, S35 8RZ. Billy McGrattan: It is with sadness that I relay the sad news that Billy 'The Bag' McGrattan, who passed away suddenly on the 25th. Details of the funeral are as follows.... Monday 8th Oct, 11am at St Herberts, Chadderton. Followed by the crematorium, then back to Chadderton Reform. "a pint of OB mixed on me pal, sleep tight!!" 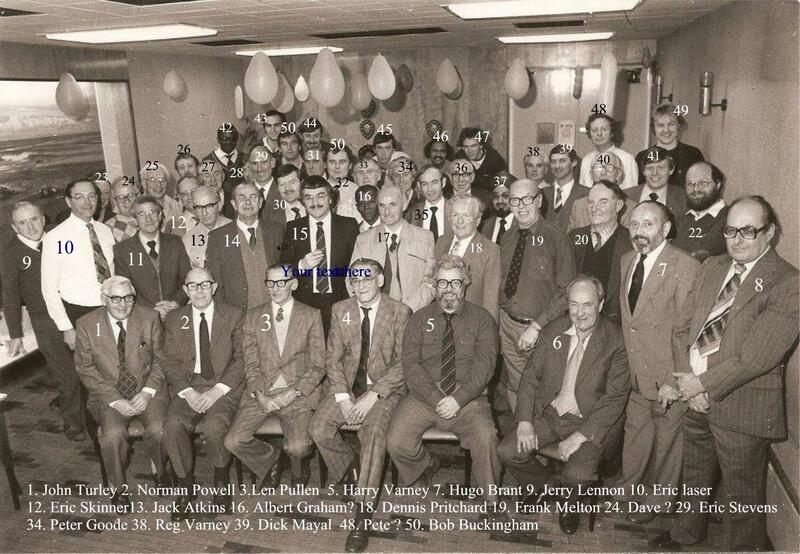 Posted by Gary Pops Larkin in FB British Telecom past and present UK. It's completely free to join and free to use. Access to some pages will require you to log in. New members are very welcome, the more members means more successful searches. BT Pensioners Reconnect, The Movie! No Minis, No Gold Bars, This Time, Just Hard Cash - My Cash!! GMP Information for BTPS members reaching State Retirement age between 6 Dec. 2018 & 6 April 2021. Read More.. Section C members of the BTPS will be pleased to hear that the court has ruled that RPI must continue to be used. BT is "disappointed" and after reviewing the judgement will consider whether to appeal. BT has confirmed it will continue to use CPI for Sections A and B. A Cap on our Pension Benefits -Another Threat to our Pensions? BT Pension Increase at April 2017? Do you think that your Spouses Pension is Absolutely Safe? If adverts are only of the slightest interest, please do look at them as it can provide a very modest revenue that helps me to offer free membership. Members are welcome to use this Notice Board for personal notices - Politics, Religion and any form of Abuse excluded. Researching GPO Staffing of WW2 Radio Security Services(RSS). Does this make Openreach and what remains of BT, a take over target and risk foreign ownership! BT is to bring its Indian Call Centres back home from India In a bid to improve its appalling customer service record. See more and get full report Daily mail 19 September 2015 Did this actually happen? I have been trying to locate a friend and colleague, BRIAN HIGGINS, for sometime and sadly, I have now been advised that he died some 3-4 years ago. Brian and I worked together in Mid Reg Datel Marketing in 1970's. and there are no responsibilities. Many more new members are required to make searches on this site more effective. Registrations have now reduced to as few as 4 or 5 per week so I would like every member to make an effort to recruit at least one new member.Click the box Below. Please email to me the name and email address of your recruit(s) so that I may confirm that your recruit(s) has registered. This website has almost 60,000 visits a year that is almost 5000 visits per month. Only a few of these visits result in a new member being added. Why? I just do not know if this site is meeting the needs or expectations of members. Please tell me what you think about it and say how you think it can be improved, what can be added and what should be removed. The CWU, under the banner of, "Remember Your Pensioners, BT!," are planning to negotiate with BT, for Pensioners to be offered the same discount, on products and services, as are offered to employees. This should make you Smile. The BT pensioners site has been further developed to create an Associate Site which I hope will prove popular with C&W Pensioners. Links between the two sites will be provided for those with an interest in both companies. This site is principally to enable PO/BT Pensioners, employees and ex-employees to re-establish contact with old colleagues. This is the time of year when we are informed of the BT pension increase for 2013/14. My notice of increase arrived 24 April and as expected the increase was 2.2% based on the September 2012 CPI measure of inflation. Click Here for a BTPS explanation of the effect of GMP on Pension Increases. The CandW Website featured in CAWPA News Summer 2013 Edition does not seem to be of much interest to C&W Pensioners. 4. Roger Parr: 'Our Thoughts Entirely' A collection of poems with a rich mixture of emotions - love, humour, melancholy - and thought-provoking themes. A BT Retiree, David Wyatt, writes from N. Zealand to BT Pensioners Reconnect….. I'm hoping that you are able to assist me I worked at BT for approx 17 yrs and emigrated in 1982. Interested in Researching your Family Tree? Are you a World War II Veteran or do you know someone who is? The recent death of Ted Cachart is reported on Fiskerton airfield web site. Birmingham Anchor People - C.1970 Can you name anymore people? 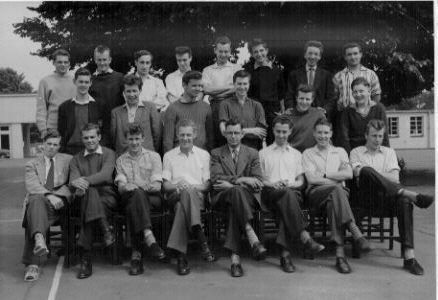 John Jenkins is Back Row 3rd from left -are you out there somewhere John? Who would you like to make contact with? This Website which is independent of BT, receives no financial support from any source and is entirely funded by me Bill Rees who developed the site. Now that you have visited the site, please become a member, even if you feel that you won't revisit very often. Increasing the number of members improves the functionality of the site.